Lion Air began mengangkasa from Indonesia in 2000 with one aircraft in its fleet. During the eight years of operation, Lion Air now flies to more than 36 cities in Indonesia and many other destinations, such as Singapore, Malaysia and Vietnam with a fleet of Boeing 737-900ER new. As the largest private transportation company in Indonesia, we not only offer affordable prices to our passengers, but also air travel safe, fun, reliable and convenient. Consistent service, safety and security are the basic foundation of all things on Lion Air. Our commitment and dedication in applying these foundations is reflected in the success of our airline. Since its establishment in 2000, we have taken many important steps in seeking an affordable ticket prices for more passengers in Asia. Look springboard us and discover the success of Indonesia's domestic airlines is the largest. Lion Air was inaugurated as the chairman of the International Conference on Asia Pacific Regional Aviation (ARA) held in Singapore on November 19, 2003. Lion Air received the "Best Brand Award 2004" from the SWA, a marketing magazine published in Indonesia. These results obtained by the Marketing Research Specialist (MARS) based on a survey conducted on 6,000 people in five major cities in Indonesia. Lion Air took the index amounted to 33.6% in the ability or potential of a product to increase the number of passengers in the future. Lion Air is set as the official airline of Miss Universe and Miss Indonesia 2004. Lion Air to lease aircraft and crews and technicians sent to Myanmar in order to help establish Myanmar Airlines. Lion Air is set as the official airlines for Miss Asean 2005. Lion Air is the prime buyer and is the largest operator of Boeing 737-900ER, the newest member of Boeing's Next Generation 737. Lion Air's business class cabin offers you with a larger room, personal service and greater privacy to ensure your comfort. In addition to business-class seats that are simple, Lion Air gives you unmatched comfort when you sit in a seat made ​​of leather that are designed exclusively, with greater space for the legs up to 38 inches. 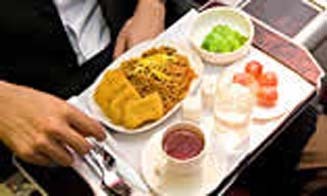 Meals during the trip include a world-class food and cuisine that reflect the unique culture of Indonesia. In addition to exclusive, business-class passengers can enjoy a special check-in service and private lounge access, you can now enjoy the best of both worlds - privacy and pleasure in unparalleled comfort. Fly with Lion Air Business Class now and enjoy personal service, unmatched comfort and convenience with world-class service. Currently, Lion Air is using Boeing 737-900ER, Boeing 737-300, Boeing 400 and MD-90. To accommodate the high demand for air transportation, Lion Air has selected the Boeing fleet of highly efficient and fitted by a single commercial aircraft berkoridor the most sophisticated in the world. With the additional new Boeing 737-900ER, Lion Air will be able to offer more flights non-stop with affordable rates to different destinations. The newest member of Next Generation B737 commercial aircraft berkoridor this is the single most sophisticated in the world. It can accommodate up to 213 passengers in a single-class configuration and has a weight of 9550 tons (4340 kg). Fuel efficient aircraft which is to reduce carbon emissions by 4%, so that means you leave a smaller carbon footprint every time you fly with B737-900ER. This wonderful aircraft to fly about 500 nautical miles farther, which is about 3,200 nm (5.925km) with AUX tank. 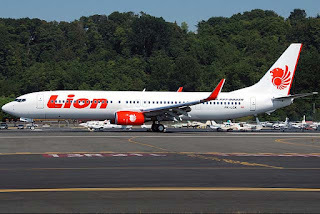 Lion Air received its first 737-900ER in April 2007 when the aircraft is delivered in a special paint scheme that combines the two original copies Lion Air lion on the vertical fin and distinctive colors Boeing on the fuselage. Currently, Lion Air has received as many as eleven 737-900ER. Lion Air operates an all-Boeing fleet and is in Hybrid-the first carrier in Asia. Currently, Lion Air has fifteen pieces B737-900ER aircraft, which will be delivered no later than December 2008, and seven of them are economy-class configuration with a total seating as many as 213 pieces. Eight others in the dual-class configuration, which include 10 business class seats and 195 economy class seats. The aircraft 737-900ER has substantial economic advantages compared to rival models, including operating costs per trip and 6 percent lower operating costs per seat are 4 percent lower than the competition - the 9550 tons (4340 kg) heavier. 737-900ER aircraft to join the 737-600, -700, -800 and-700ER will have a reliable leading industry of Next-Generation series models other. Lion Air has a fleet of 15 aircraft. Of the 15 fleet, 7 of them are economic class that can accommodate 220 passengers and 8 other aircraft equipped with 10 business class seats and 195 economy class seats. In the next year, Boeing will deliver an additional 12 units to Lion Air aircraft. Boeing 737-900ER is the newest member of the type of Next-Generation 737 aircraft, the type of best-selling jet in the world. 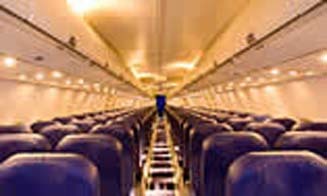 The aircraft with a capacity of up to 220 passengers in a single-class configuration is considered to have greater capacity and coverage further. Next Generation 737 younger than 10 years and fly higher, faster, farther and less noisy than the rival model. Boeing 737-900ER add a pair of exit doors and a flat rear pressure bulkhead that allows capacity to 220 passengers in a single-class layout. The changes in the aerodynamic and structural design, including strengthened wings, tailskid two positions, the improvement on the front and rear edge flap systems, Blended Winglet can be selected and an additional fuel tank allows the 737-900ER to accommodate higher takeoff weight of high and increasing reach up to 3200 nautical miles (5.900km). Boeing 737-400 is a larger capacity version of the popular 737-300 model. It can accommodate 158 passengers in one trip and Lion Air has 10 pieces of 737-400 in its fleet that have 8 seats in business class and 150 economy class seats. Boeing 737-300 is a jet plane with the short to medium range, single berkoridor and narrow body. This aircraft can accommodate 149 passengers and there are 2 pieces in a fleet of 737-300 aircraft of Lion Air. Two aircraft are all based on economic class. Mc Donnell Douglas MD-90 is a sophisticated aircraft with medium size, with a range of mediums and is one of the most commercial jet aircraft is not noisy. It can carry up to 161 passengers and interior arrangement offers a wider seat for more comfort. Lion Air has 16 pieces MD-90. All of this plane has 8 seats in business class and 153 economy class seats. At Lion Air, we will always provide something special because we believe to appreciate the money you pay out and provide quality service. Boeing 737-900ER cabin our newly designed to give you more space. This is the room where you can relax, stretch your body and rest. Fly with our business class is equipped with 38 inch seat pitch. More luxurious than ever, owned Boeing 737-900ER Lion Air offers spacious legroom and an additional slope of two degrees in a comfortable leather seating, so you can stretch your body and relax while we take you to the destination. 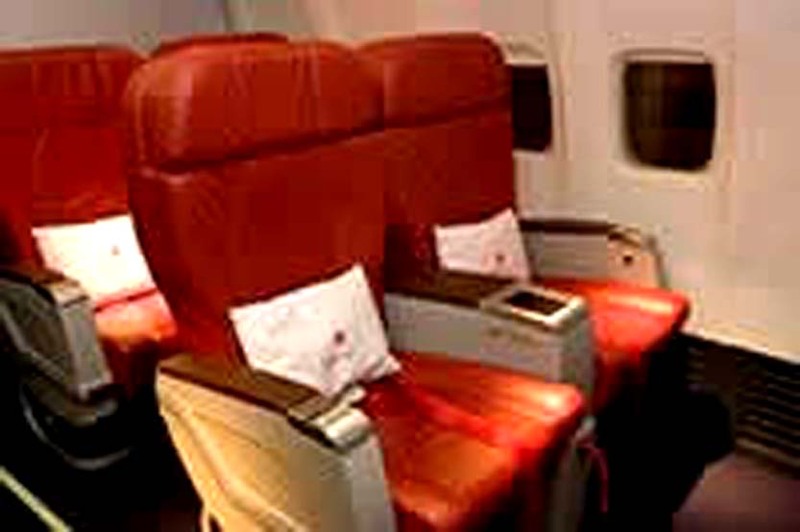 As soon as you feel comfortable in your chair, you can sit back and enjoy the comforts offered to you by Lion Air. For flights from Singapore to Ho Chi Minh City and Singapore to Bali, we provide drinks and free food. For other flights, drinks and food available for purchase. As the development of the capacity of Lion Air's fleet, safety in all aspects of aircraft operation and maintenance remain a top priority. To support the growing fleet of large, Lion Air has been providing facilities covering an area of ​​4 hectares dedicated to safety in the operation and maintenance, and to support the existing hangar facilities in Bandung. Known as the Lion Village, this facility is located near the airport and provide training facilities such as Boeing 737-900ER simulator. Inside the complex there are shops where facilities can be found in the wheels, brakes, cabin interiors and avionics equipment. As a one-stop shop, in the warehouse can also be found in spare parts, tires and engine. Also provided hostel accommodation for the stewardesses and airport staff. Safety programs such as Alar, CRM, SMS, FOQA and FLOE been fully implemented and ACARS equipment will be installed in a fleet of Boeing 737-900ER us. Coupled with the implementation of a computerized system TRAX (treatment) and GENEVA (operation) has increased awareness of employee safety. As one of the leading private transport companies in Indonesia, we are always looking for someone with high motivation and talent that is ready for action. Everyone on our team share the ideals, energy, motivation and commitment in exceeding our customer expectations. If you join us, you will be totally focused in providing the services promised by Lion Air - The customer and their experience of flying with us is always going to be paramount. Friendly and professional, our business is the best place for a career. And you will help to keep it always like that. As long as you are ready to have fun when running it, we look forward to your application.